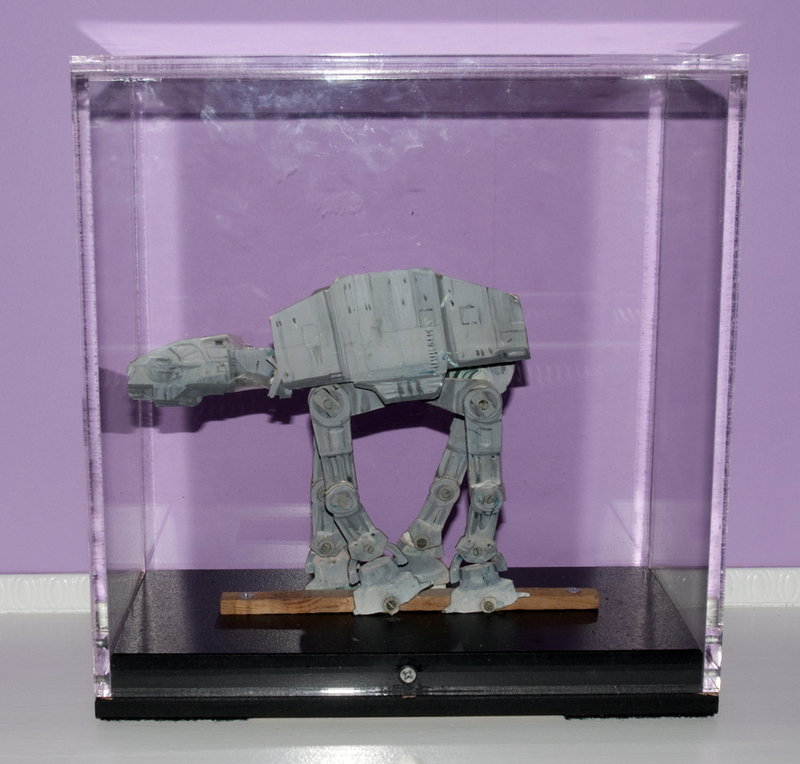 A special effects model for an AT-AT Walker from The Empire Strikes Back. This detailed model was used for background shots for AT-AT's moving in the distance while simultaneously animating larger models for foreground action. It originated from Phil Tippett's studios—Phil led many of the animated sequences from The Empire Strikes Back.